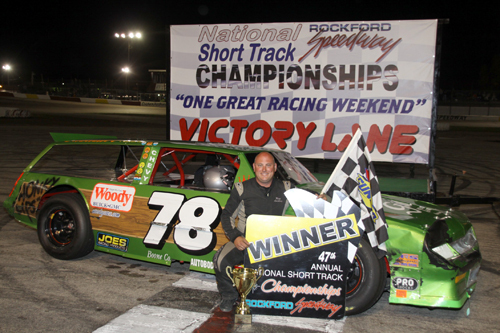 Matt Lundberg, # 78 Rockford, IL held off Daryl Gerke to win the Goodyear Racing Tire Area Sportsman 50 main event. 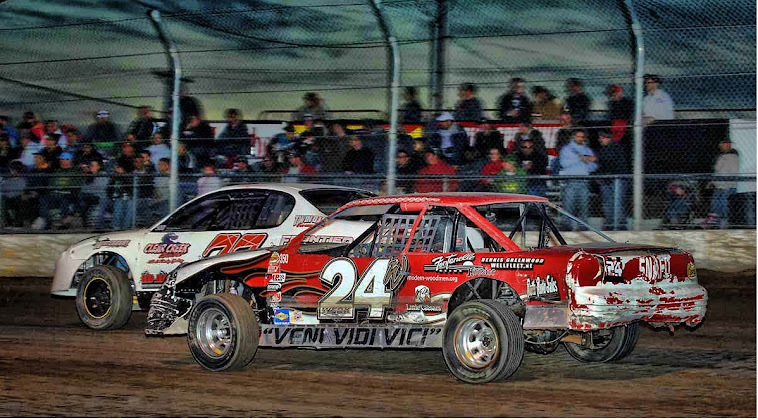 Patrick Bruns, Champaign, IL, and Sean Murphy got the fans on the edge of their seats in an incredible last lap battle in the Illini Midgets Jersey Mike’s 50-lap event. 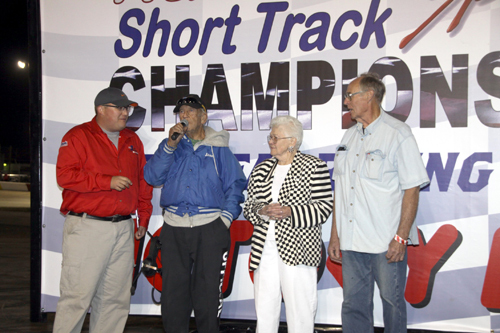 Rockford Speedway's Stan Burdick gives the command "Gentleman Start Your Engines". 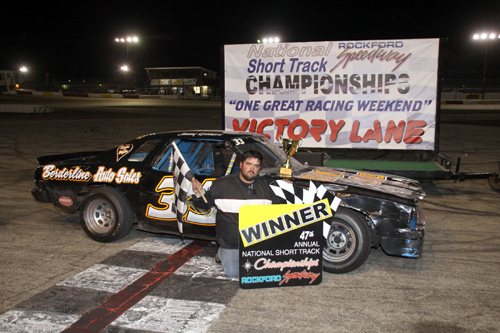 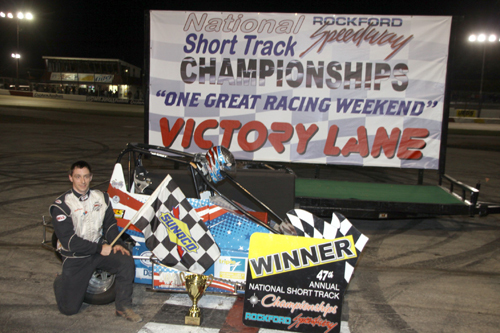 Jon Reynolds Jr. Rockford, IL, poses for pictures as the winner of the National Short Track Championship Big 8 Series 108-lap feature event. 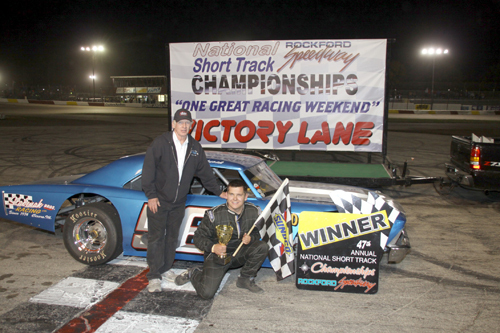 Frank Slabenak, LaGrange Park, IL in victory lane with series director Art Fehrman in the Sunoco Race Fuel Illinois Vintage 20. 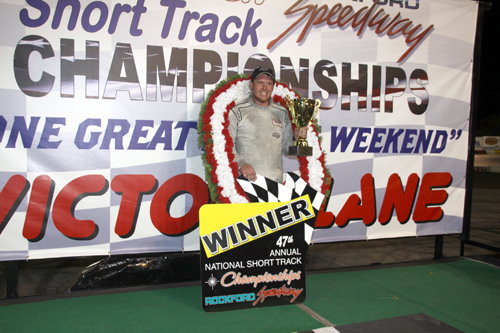 Jimmy Robinson # 33 Orfordville, Wis was the big winner in the Hobby Stox O’Reilly Auto Parts 30 lap feature event.